pfs:Write was a simple word processor created by Software Publishing Corporation (SPC) in the early days of desktop computing. It was intended for DOS systems, but Apple II versions were also released. 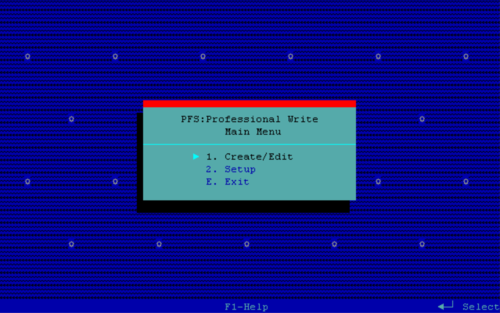 The last version, Professional Write 3.0 for DOS, was released in 1994. This page was last modified on 11 April 2019, at 01:49.